On October 12, two new arbitration claims were filed against Turkmenistan at the International Center for the Settlement of Arbitration Disputes (ICSID), part of the World Bank Group. At present, there are five pending arbitration cases at the ICSID against Turkmenistan, dating back to 2009. The second recent case involves Unionmatex Industrieanlagen, a German company that won a 36.8 million euro contract in 2005 to construct a grain elevator and processing facility. In 2008, the company scored another contract — worth 144 million euros — to construct grain elevators and processing facilities across Turkmenistan. Presumably, the claim filed this month at the ICSID relates to non-payment of debts stemming from this set of projects. Arbitration cases are not necessarily unusual in the world of international business in Central Asia. For example, there are six pending ICSID cases filed against Kazakhstan. 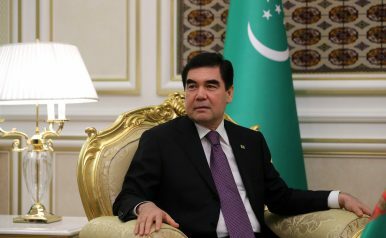 Turkmenistan, however, has a much smaller economy than Kazakhstan — a GDP of $42.36 billion in contrast with Astana’s $159.4 billion — and far fewer international investors. As the Global Arbitration Review noted, the two new cases join a host of others levied against Turkmenistan for issues such as non-payment and government interference. The farm’s lease was transferred from the Agriculture Ministry to the Ministry of Defense. Dogan told Bloomberg in 2008 that Turkmen authorities demanded half the profits, a demand he rebuffed. Investment Arbitration Reporter’s brief on court hearings noted “godfather-style offers” made to Dogan. Then Ashgabat seized the farm. The Adem Dogan v. Turkmenistan case was filed at the ICSID in 2009, with Dogan claiming that Turkmenistan illegally expropriated and destroyed his farm. In 2012, the ICSID tribunal found in Dogan’s favor but the legal wrangling wasn’t over quite yet. Turkmenistan filed for an annulment of the award (the amount of which is redacted in the public documents) the tribunal had granted to Dogan. The annulment request was denied in 2014, with Turkmenistan ordered to pay the previously determined award plus Dogan’s legal expenses. According to one source, Dogan was seeking $45 million in compensation. It’s not clear how much the final award amounted to. Of the six concluded cases involving Turkmenistan listed on the ICSID website, Turkmenistan lost two, won two, and settled two. One of the settled cases, however, involved Russian telecom Mobile TeleSystems (MTS), which exited the Turkmen market in 2010 and in 2011 filed its first case at the ICSID. After settling with Turkmenistan in 2012, MTS returned to the Turkmen market. In September 2017, MTS says Turkmenistan’s state-owned telecommunication company Turkmentelekom abruptly cut its access to the country’s networks. MTS filed a second case with the ICSID in August 2018, claiming a loss of $750 million. Turkmenistan is a grey spot on the World Bank’s well-known Ease of Doing Business ranking — it simply isn’t included in the analysis. Insular and opaque, Turkmenistan’s economic situation is the subject of much contention. There’s a mind-boggling disconnect between the situation portrayed in official state media and what’s reported by sources like Alternative Turkmen News and RFE/RL, which cite food shortages, withheld wages, limits on travel and study, and so on. These arbitration cases add another dimension to analyzing what is going on inside Turkmenistan. Shrinking Budgets and Less Booze in Turkmenistan, the Home of ProsperityTurkmenistan Set to Rollback Subsidies for GoodTurkish Company Complains About Turkmenistan's Empty PocketsWhere in the World Is Berdy This Week? (Hint: Not Astana)Turkmenistan Banned Black Cars. So What?